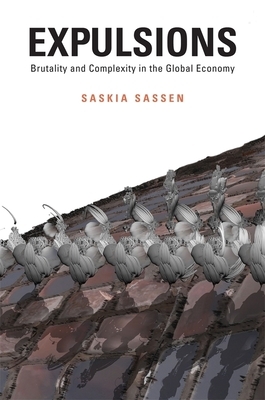 Soaring income inequality and unemployment, expanding populations of the displaced and imprisoned, accelerating destruction of land and water bodies: today's socioeconomic and environmental dislocations cannot be fully understood in the usual terms of poverty and injustice, according to Saskia Sassen. They are more accurately understood as a type of expulsion--from professional livelihood, from living space, even from the very biosphere that makes life possible. This hard-headed critique updates our understanding of economics for the twenty-first century, exposing a system with devastating consequences even for those who think they are not vulnerable. From finance to mining, the complex types of knowledge and technology we have come to admire are used too often in ways that produce elementary brutalities. These have evolved into predatory formations--assemblages of knowledge, interests, and outcomes that go beyond a firm's or an individual's or a government's project. Sassen draws surprising connections to illuminate the systemic logic of these expulsions. The sophisticated knowledge that created today's financial "instruments" is paralleled by the engineering expertise that enables exploitation of the environment, and by the legal expertise that allows the world's have-nations to acquire vast stretches of territory from the have-nots. Expulsions lays bare the extent to which the sheer complexity of the global economy makes it hard to trace lines of responsibility for the displacements, evictions, and eradications it produces--and equally hard for those who benefit from the system to feel responsible for its depredations.